Prior to applying to adopt Cleo please review our adoption process on our website with rules and process information. Please consider sponsoring Cleo to help with her medical bills. Intake info: Cleo was found as a stray in Indiana in some of the worst shape we have ever seen a pup here at BBR. 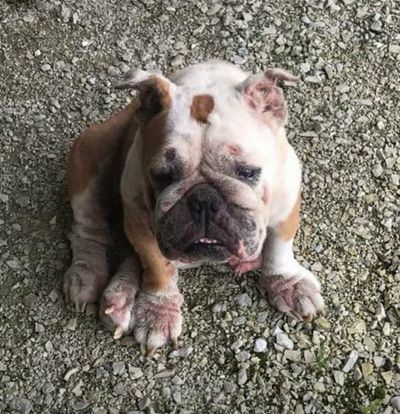 The good Samaritan who found Cleo reached out to rescues for help, so: here she is! ​Cleo arrived with a massive mammory tumor which may have metastasized. 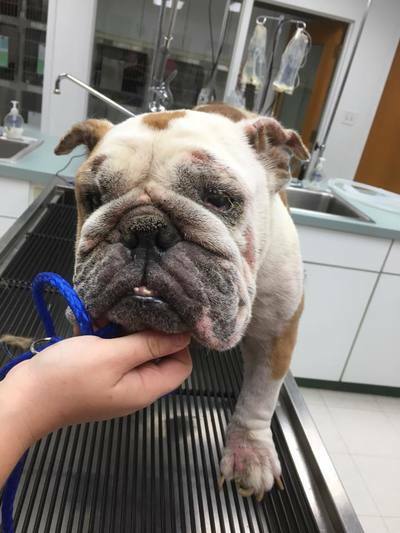 Cleo has severely infected ears, issues with stenotic nares, and pneumonia. Cleo has clearly been neglected and starved for a very long time; she is grossly underweight and it's clear she has had minimal vet care. Her road to recovery will not be an easy one, but we hope it to be a full recovery with lots of love from this point forward.